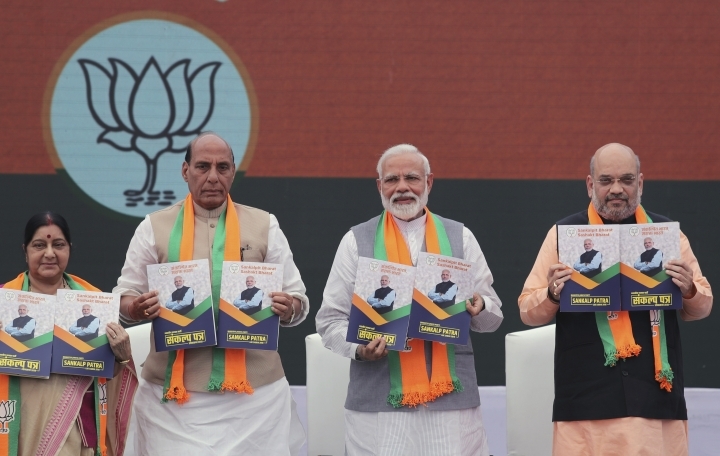 NEW DELHI — India's ruling party released its election manifesto on Monday, three days before the start of a multi-phase general election in the world's largest democracy. 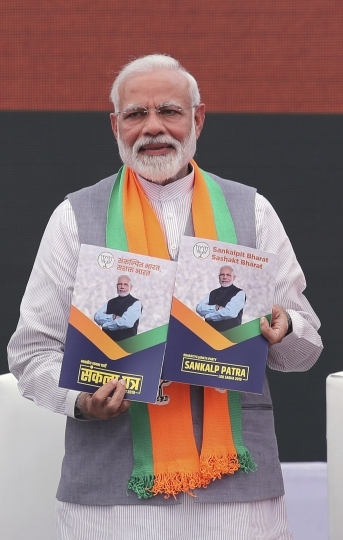 The BJP manifesto opened with an entreaty from Modi for voters' "valued blessings." 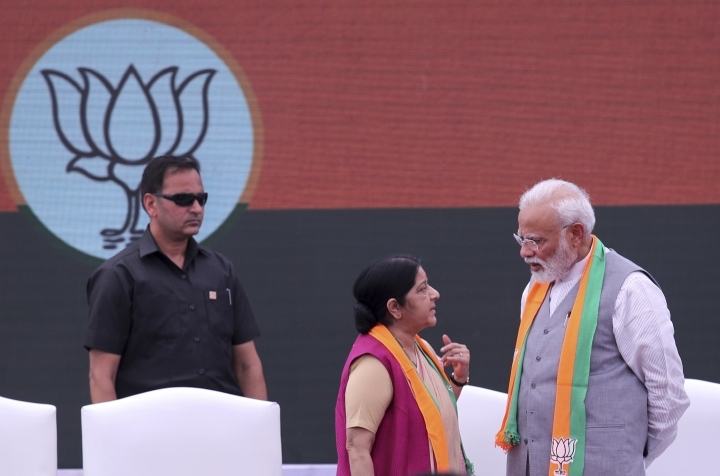 Modi said the document described the path for India to "move from being a developing country to a developed country" by 2047, asking, "If the 21st century is Asia's century, should India lead it or not? Can we or can we not?" 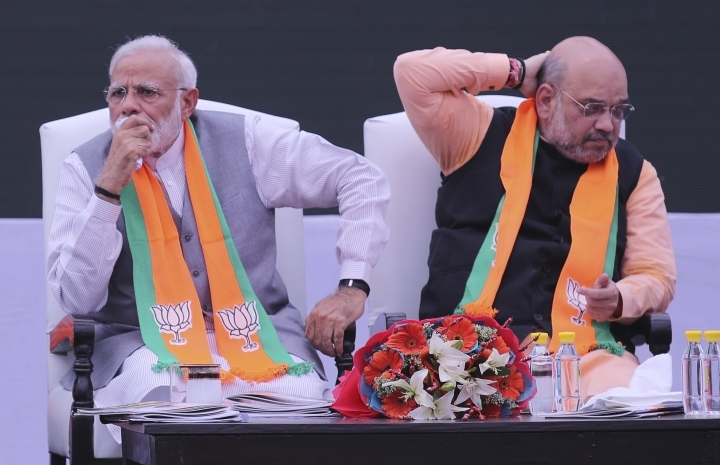 Several other ministers in the BJP-led government spoke on Monday, including the finance minister, Arun Jaitley, who said that the government "wants to expedite the path of progress." 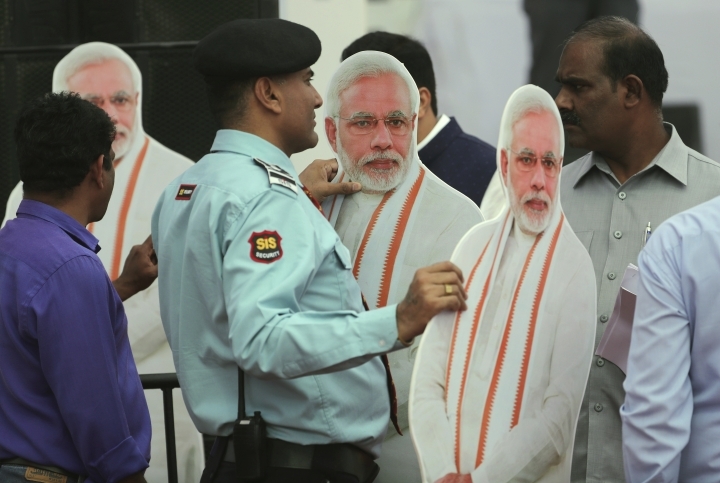 The main opposition Congress party released its manifesto last week, blasting the Hindu nationalist BJP for working "to divide the nation."